How far are you willing to go to get ahead of the competition? In order to be successful, you must do the opposite of what everyone else is doing. 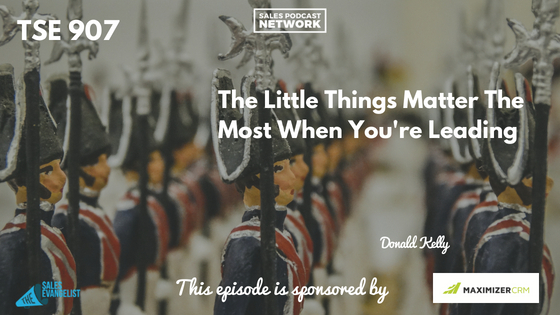 Realize that little things matter the most when you’re leading, and if you adopt them in your own business, you can become a better sales leader. 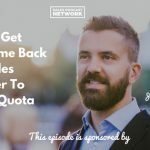 On today’s episode of The Sales Evangelist, I’ll share the true story of a dentist I visited who went the extra mile, and why it made such a big difference. This dentist didn’t do anything big. Take note of the five little things that will cause your sales staff to look to you as a sales leader. 1. Recognize them out of the blue. There are natural occasions like birthday, anniversaries, kids going to college or graduating, or 5th anniversary working with the company. 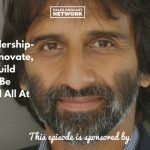 A lot of sales leaders aren’t acknowledging these natural opportunities to recognize an employee. Call them to see how they are doing; maybe on a Wednesday just to see how the day went and how the deals are going. Encourage them along the way, even if things didn’t go the way they wanted. Your team will learn to trust that you’re looking out for their best interest, and they’ll trust and support you. And when you need help, they’re going to work harder for you. 2. Take time for one-on-one coaching. Make sure you spend time with your sellers so you’ll understand their strengths and their struggles. Prioritize one-on-one coaching. Stephen Covey’s fifth principle says to seek first to understand, and then to be understood. Before you focus on helping them understand the things you need them to get done, seek to understand the things they need. Treat them like your customer. Make them feel good. 3. Recognize their successes in front of their peers. When a sales rep closes a deal or lines up an appointment or gets a referral, recognize them in front of their peers. Sales reps love recognition, and if you can make them feel good, they’re going to work harder to repeat that action. You’ll communicate to them that you care about the sales reps and they’ll want to work hard over and over again. 4. Make their goal become your priority. It’s tempting to think of this the other way around and expect your sales team to make your goals their goals. Begin the other way around. If your sales rep wants to buy a house, or get a new car, or take his family to Europe, or pay off college loans, make that goal a priority. If you, as a sales leader, are focused on making me win as a seller, I am going to do everything you need me to do. I’ll understand that you had my best interests in mind. If, for example, they are planning a trip, and you engage with them to find out details about the trip, and where they are in the buying process, and what the costs of the trip will be, it will communicate that you care about their needs rather than pushing your own. 5. Challenge them, trust them, and empower them to do tough things. Let your team members know that you’re confident that they can handle the tasks you’ve given them. Remind them that you’ll help them through the process. Don’t simply give responsibility to the best sales reps on the team; trust and empower your sales reps with important tasks. Don’t give them too much too soon, and don’t give them work that is difficult for them to bear. Remind them that you have confidence in them. As your team members achieve success, gradually increase the tasks you entrust to them. Give your sales team reasons to brag about you; to realize that they have the best sales leader in the world. I share stuff like this because I want to help you guys find more ideal customers, to build stronger value, to close more deals, and most importantly to challenge you to do big things.